I traveled to Ireland in February, mainly for the IxD12 conference, but I also had the opportunity to create painting-sketches based on some side trips to the countryside. 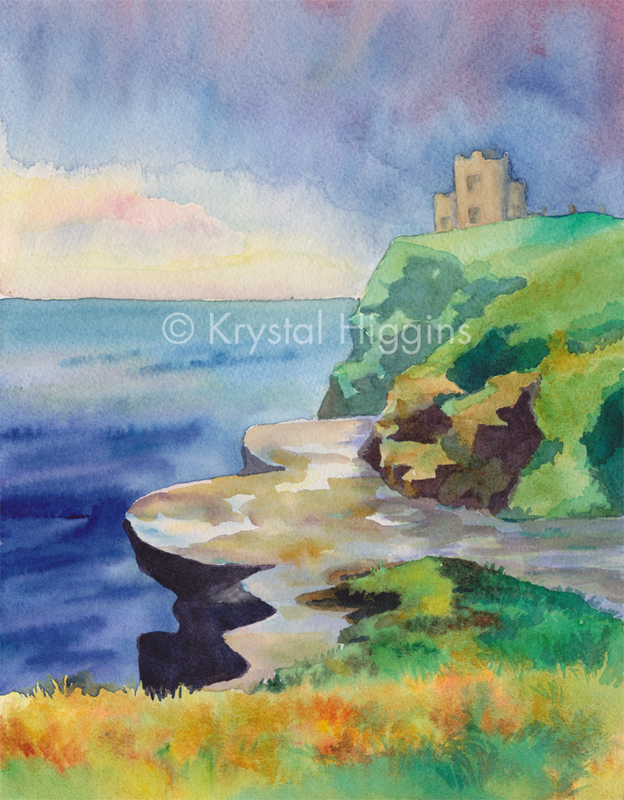 I took a few of my sketches from the Cliffs of Moher and did larger paintings. 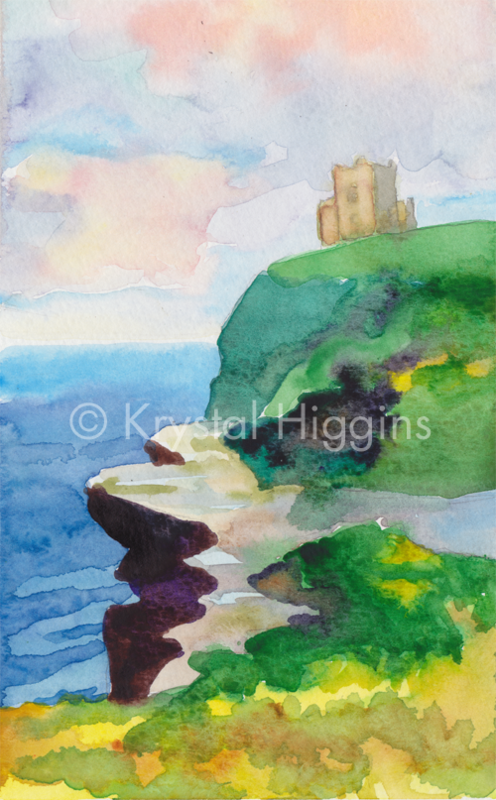 On the particular day I was at the cliffs, the weather was quite unsettled (moments of sun, moments enshrouded in fog, and moments of rain) so each piece uses a slightly different technique to express this variable atmosphere. I’d be happy to hear your feedback! 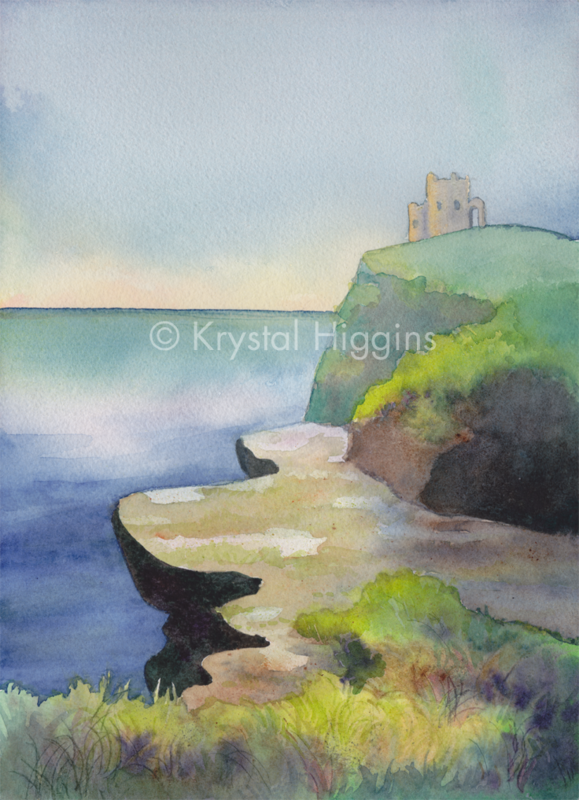 One of my sketches of the Cliffs. It was sunny and bright at this moment! 5" x 8" on moleskine watercolor. Contact for pricing. 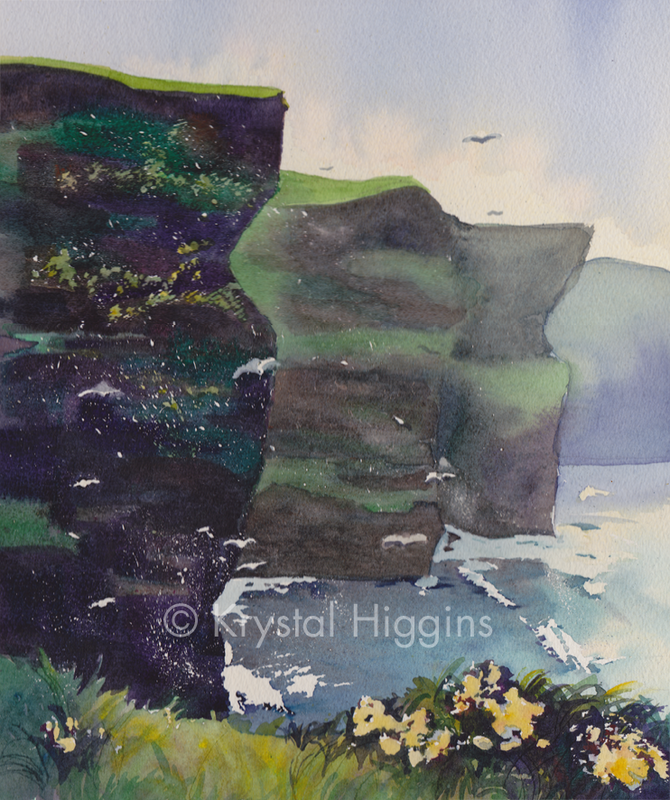 "Spatter Cliffs" - I love the tight cropping and icy color in this piece. I used quite a bit of frisket (spattered with a toothbrush) to simulate the massive numbers of birds floating about the cliffs. 12" x 16" on 300lb coldpress. Original has been SOLD. Contact for prints. "Standing Still" - There was a curving stone ledge that had a sheen of water left behind by the wind, fog and surf. It ended up being the star of this and the following painting. I kept an overhang of fog in the background to add stillness to this piece. 10" x 14" on 300lb coldpress. Contact for pricing. Conversely to the simple, quiet brushstrokes and neutral colors in the prior piece, I played around with a vibrant palette and short, lively brushstrokes in this painting. I wanted to capture one of the moments closer to sundown where the wind had picked up and the clouds were parting. 10" x 14" on 300lb coldpress. Contact for pricing.